Mediaite has learned that Glenn Beck has planned to hire a Fox News big wig to work within his production company, revealing, perhaps, much bigger and more innovative plans than anyone had previously thought. While no deal is officially done, indications are that Cheatwood will soon be joining Mercury. Cheatwood is considered number three at Fox News programming behind Michael Clemente and Bill Shine (though numerically ranking influence and power within any work environment is an often flawed method). Prior to joining Fox News as a Vice President in 2007, Cheatwood served as the executive director of program and talent development at CNN, where he created and launched both Beck’s program and Showbiz Tonight for Headline News, where he also oversaw the launch of Nancy Grace. Cheatwood is known in local news circles for creating tabloid local news with splashy graphics, over the top sets, and that sort of thing. The hiring of Cheatwood makes the most sense in a scenario in which Glenn Beck is no longer on Fox News, an indication that all of the smoke surrounding this relationship reveals a deeper fire suggesting that the relationship is coming to an end. Beck’s status at Fox News is markedly different than that of his on-air peers; he arrived at the cable news network as an established personality, and likely feels less a debt of gratitude to the powers that be, which in turn makes him more of a free spirit/loose cannon. 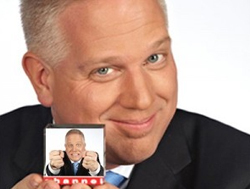 While it’s likely that a “Beck-less” Fox News would not miss a beat, this move by Glenn Beck seems to show that he also has no intention of going gently into the night.